I love chocolate. I also love avocado. I usually don’t like the two together, BUT avocado ice cream and now avocado brownies are an exception to that generally safe to follow rule. 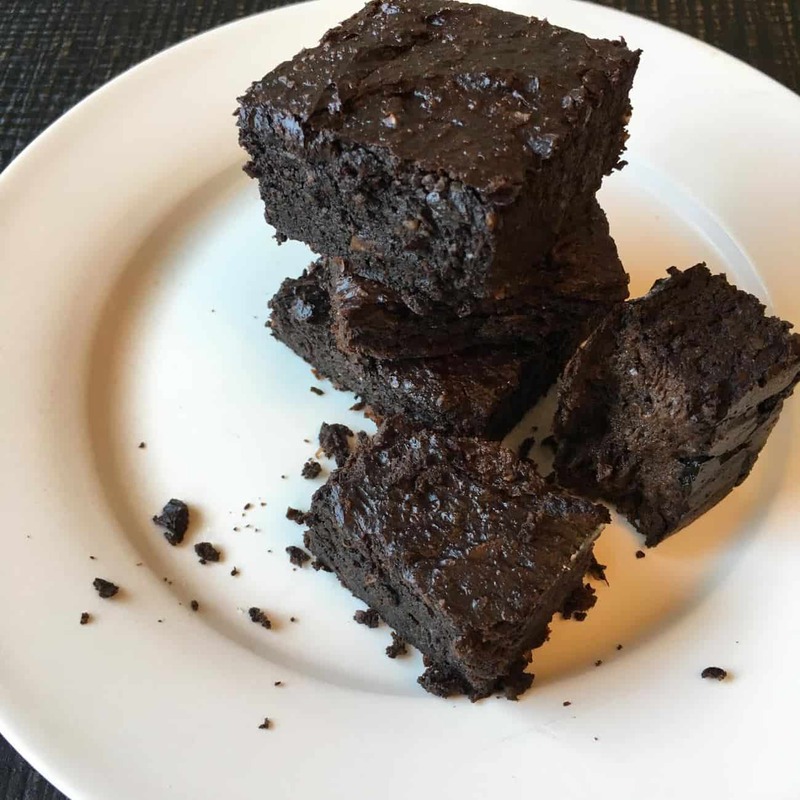 The avocado creates a great moist base for this low-carb, keto-friendly, paleo-friendly, gluten-friendly, basically all things friendly, high flavor brownies that can fit into almost any nutritional approach. Don’t let the avocado scare you, I promise you won’t be able to taste it! -1 cup artificial sweetener or equivalent stevia (sweeten to your liking, you will need a lot of sweetener to cut the bitterness of the cocoa/dark chocolate, but it’s totally worth it)- I’m a batter tester, so sue me! (P.S. in my 26 years I’ve yet to acquire salmonella… knock on wood) so I recommend tasting/sweetening as you go! I personally adjust the salt as I go too, the salt enhances the sweetness and chocolate flavor! Coconut Cream: put a can of full fat coconut cream in the fridge overnight, open the can and spoon off the thick cream on top- mix smooth (optional add vanilla/sweetener) and top your brownie, I like it straight up! Cream Cheese Icing: cream cheese, vanilla, and sweetener make a super easy and amazing icing for this! Naked- still a great choice, they are moist enough that they are totally delish on their own! Devour! I recommend COLD they get even more fudg-ey and delicious after a day in the fridge! Adapt it as you go, I like lots of salt and sweetener and top them with something different every time depending on how I feel. Pro Tip: Have a glass of iced cashew milk with vanilla stevia drops on the side! What size baking dish did you use for this recipe? An 8×8 glass baking dish, sorry I forgot to specify!